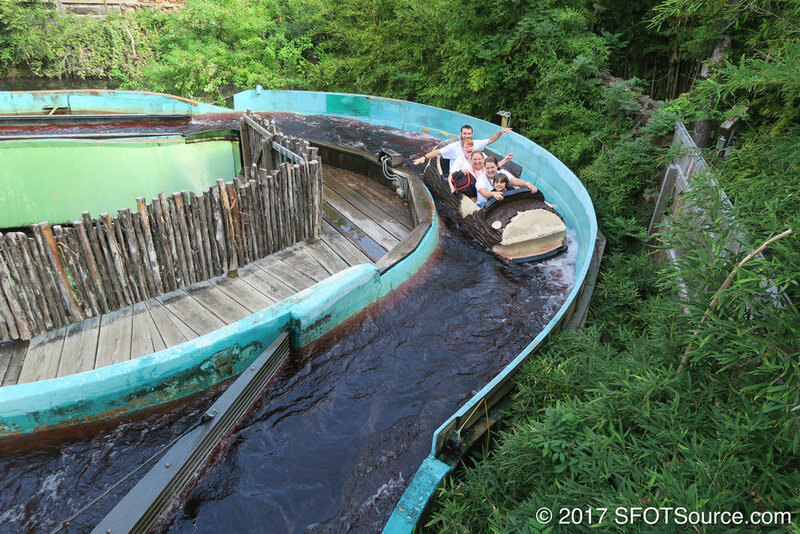 When Flume 1 of El Aserradero opened in 1963 it was the very first log flume ride in the world. 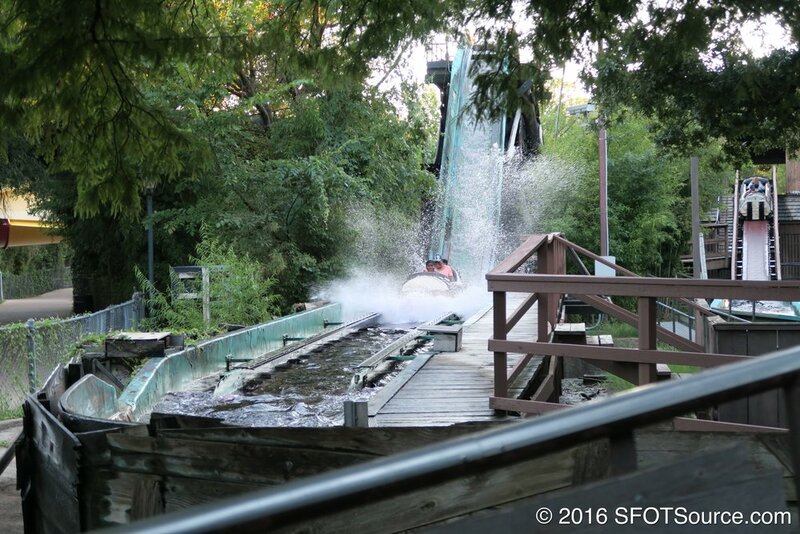 Quite popular to guests, Six Flags Over Texas decided that it would be wise to build a second flume. Flume 2 of El Aserradero opened in 1968. 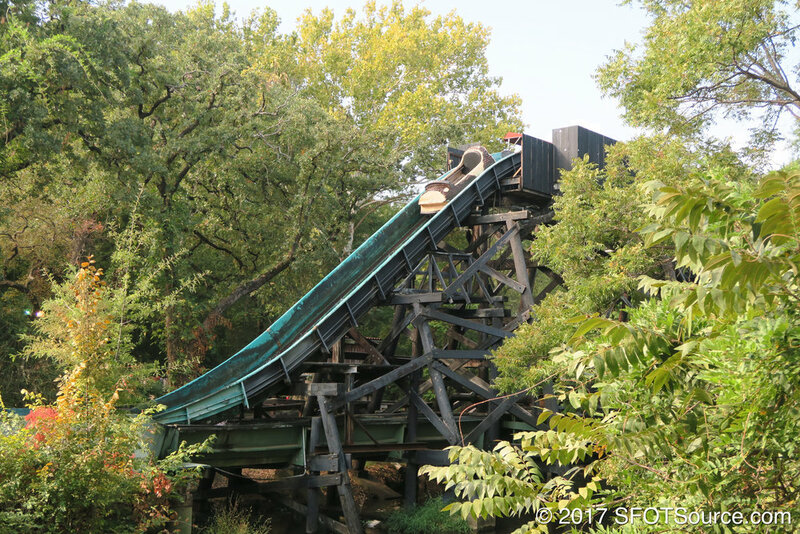 Each flume was themed around the idea of a saw mill. 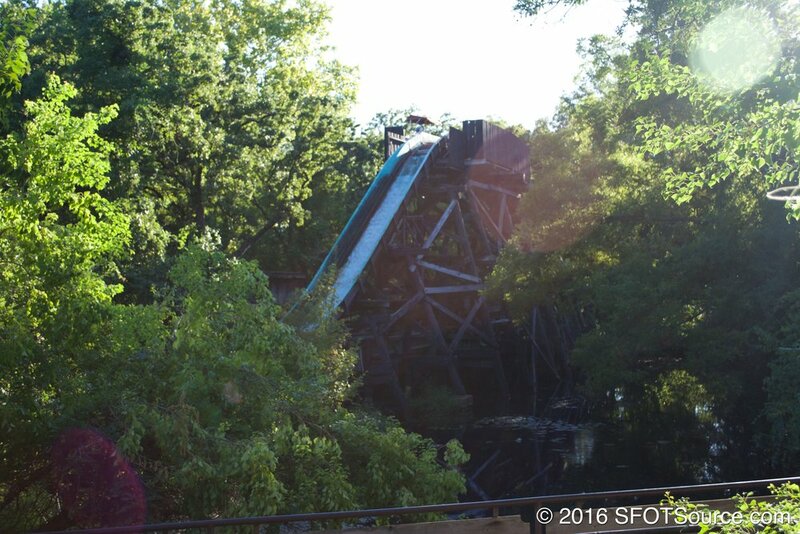 Flume 1 had a character named Snidley Whiplash who sat on top the first lift hill sawing through a log. 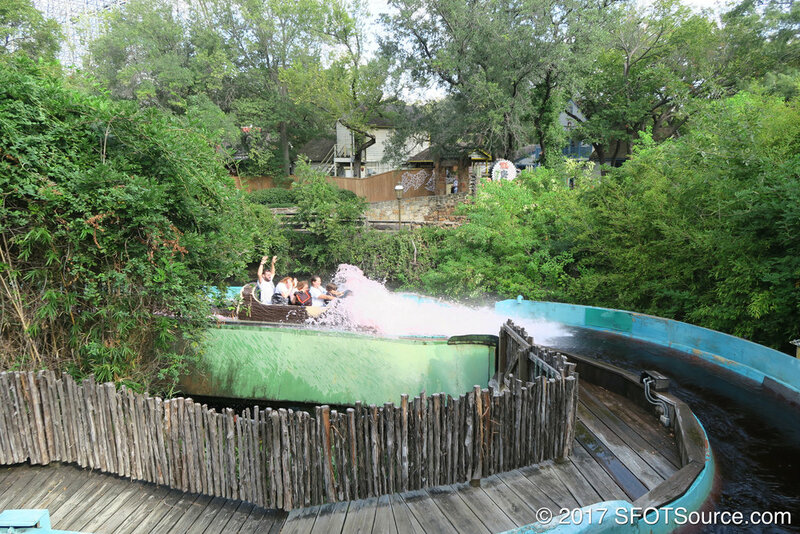 On Flume 2, the final large drop was enclosed in a tunnel. 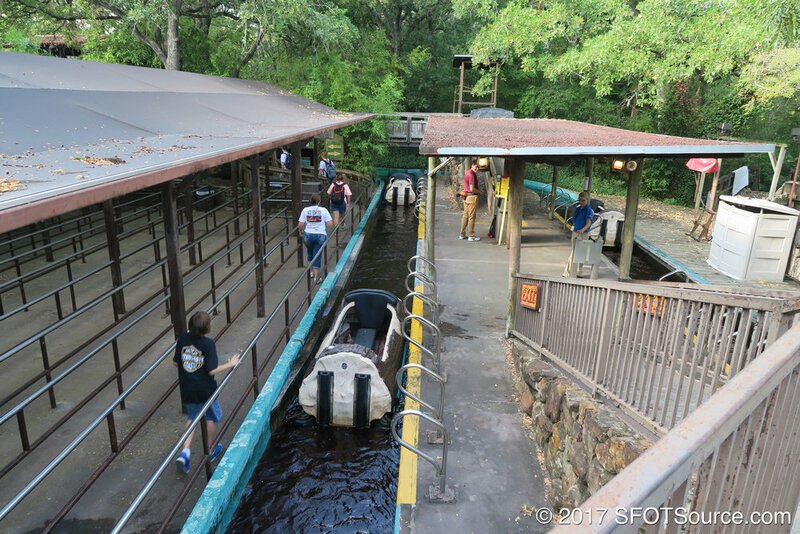 Though this theming has been removed today, the rides are still an exciting part of theme park history. 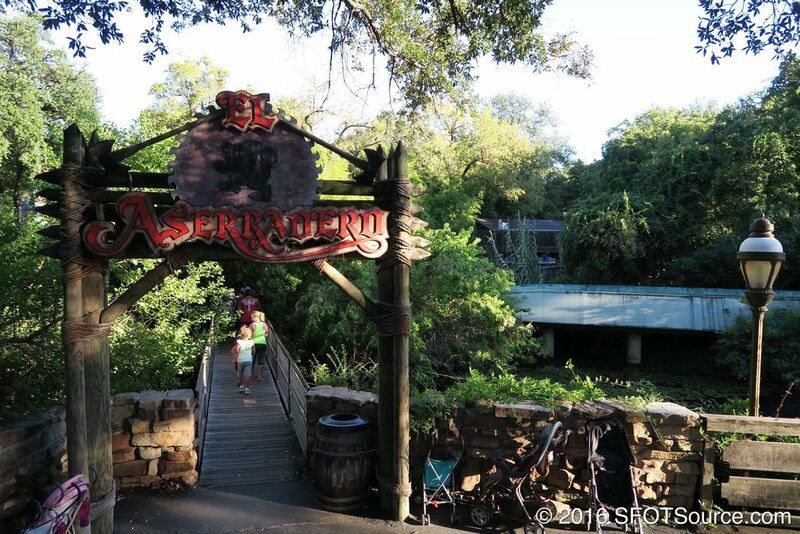 The Ozarka Splash is renamed El Aserradero (the attraction’s original name).